The United States could find itself in a precarious position much worse than the recent D.C. earthquake if attacked by an electromagnetic pulse (EMP) weapon. An EMP would cause current and voltage surges and burn out the semi-conductor chips of all electronic devices within the line of sight. A single nuclear weapon detonated at a high altitude has the potential to instantly send the United States back to the 19th century. The Heritage Foundation recently devoted one of its public events to this important issue. As James Carafano, Baker Spring, and Richard Weitz argue, despite the EMP Commission’s 2004 and 2008 recommendations, hardly any progress has been made in protecting the country from the consequences of an EMP attack. A long-range ballistic missile shot from Iran, Russia, China, or North Korea could deliver a nuclear payload to an altitude high enough to cause an EMP blast. Less technologically challenging short-range nuclear-tipped ballistic missiles, launched from vessels such as freighters, tankers, or container ships off U.S. shores, could cause an EMP effect. The best way to address the EMP threat is to build a robust missile defense system, comprised primarily of Aegis ballistic missile defense capable ships;Aegis Ashore, a land-based missile defense component; and Unmanned Aerial Vehicle capabilities. So far, the Obama Administration’s record is questionable. It has made massive cuts to the U.S. missile defense program and cancelled some of the most promising programs. An EMP could be inflicted without an organized group behind it. With the right equipment, a lone terrorist could cause a blackout of a city—and he would not even need a nuclear weapon. The EMP effect can also be created during an electromagnetic solar storm—known as a Carrington effect—and could impact the grid the same way as a nuclear weapon. 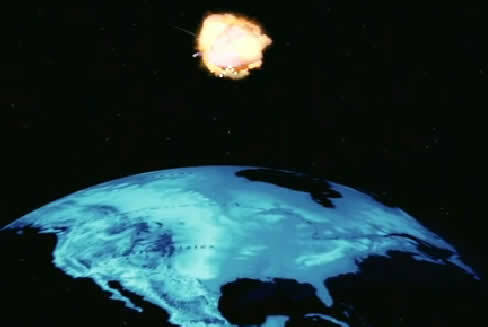 It is imperative for the United States to prepare for an EMP attack. For about $200 million, the United States can harden the major transformers associated with major metropolitan areas. This relatively minor investment could save millions of American lives. 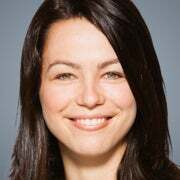 Michaela Dodge specializes in missile defense, nuclear weapons modernization and arms control as policy analyst for defense and strategic policy in The Heritage Foundation’s Allison Center for Foreign Policy Studies. Read her research. Posted by Reagangirl.com 8/13/14 with permission of the author.